Hi. 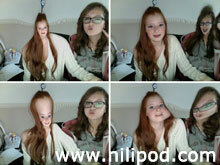 Welcome to our very own podcast website - the NiliPOD. Now it's time to download our podcasts and listen to our inane weekly rambling. They are available via our website or directly from iTunes, where you can subscribe if you so wish and download them for free. Hope you like them, and if you do, why not let us know?! 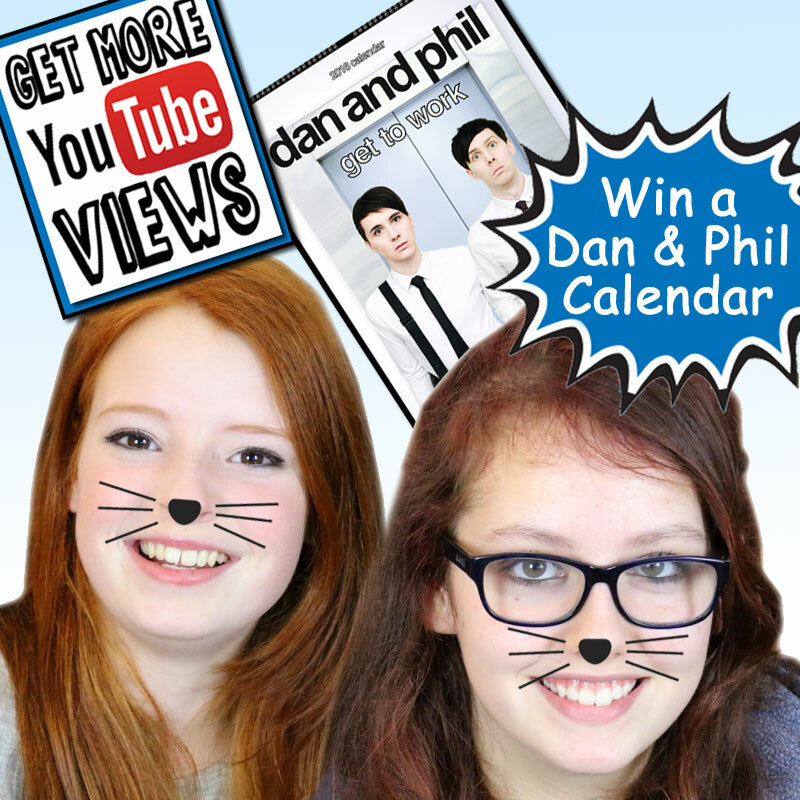 There's some huge news this week, and don't forget that it's time to draw the winner of our ongoing Dan and Phil calender competition. In the entertainment news, we find out why David Beckham was cupping his golden balls so tightly when Brooklyn performed a death-defying stunt on his skateboard. It is amazing that our podcast has been downloaded more than 5,000 times since it began a few months ago, so thanks for that, and keep an eye on our NiliPOD YouTube channel too, as there will be podcast-type vlogs appearing on there soon. 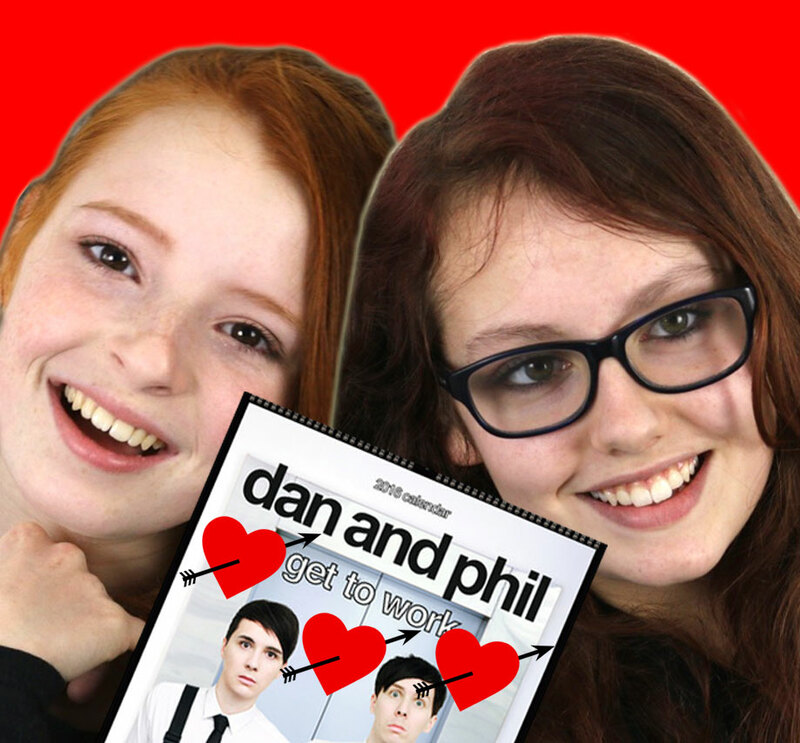 - Episode 17: Valentine's Day, Love You Dan and Phil! It's Valentine's Day tomorrow and so there's lots of talk about the world of romance. We play out our great NiliPOD voice message mashup song, which is actually not that bad, and then there's the final part of our great Dan and Phil competition. In this week's 'Good News', we talk about the latest Top Gear announcement and find out what Mary Berry thinks of garlic beer, and finally, we have discovered what the secret of happiness actually is - tune in to find out! 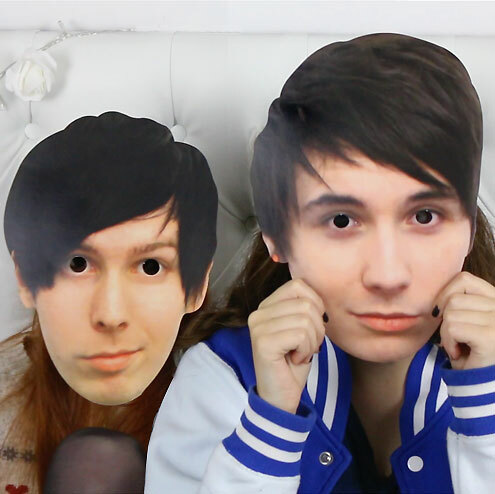 - Episode 16: Justin Bieber Fever, You Better Belieber It Phan! Justin Bieber is certainly riding the crest of his music wave at the moment and he's enjoying global success, dominating charts all over the world. And so we've decided to celebrate this fact by having our very first Justin Bieber podcast special. There's plenty of other features, but many have a kind of Justin Bieber twist, including our fun Nia vs Liv challenge that we've called 'Just-In or Just-Out!' And then there's plenty of showbiz news, interviews with Simon Cowell, Ed Sheeran, Taylor Swift and Justin Bieber himself (kind of), and some incredible Harry Styles gossip. There's a real party atmosphere going on in the podcast studio in this episode, because it's Phil Lester's birthday, as in 'Phil' from Dan and Phil. 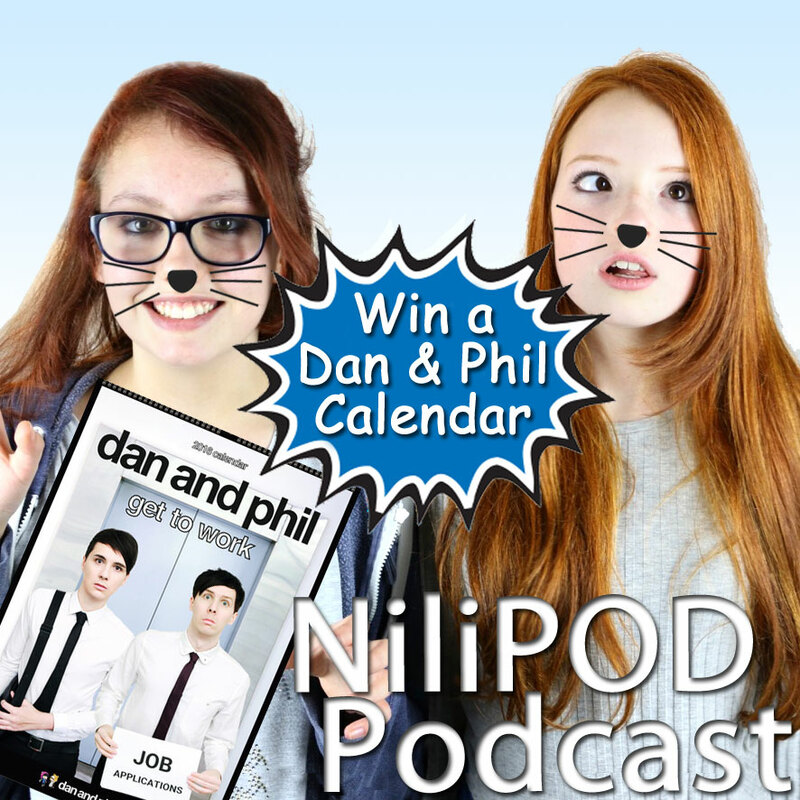 We've also got that Phan calendar competition going on, which has caused a bit of a buzz, so keep listening out for that all important codeword. Features in this particular episode include how to get more views on YouTube videos (we keep being asked this, so we thought it would be good to chat about), and lots of good news involving Mary Berry, JK Rowling, David Beckham, Johnny Depp and J-Law. The Big Bag of Random also makes a welcome appearance, and we talk about our attempts at parody videos. 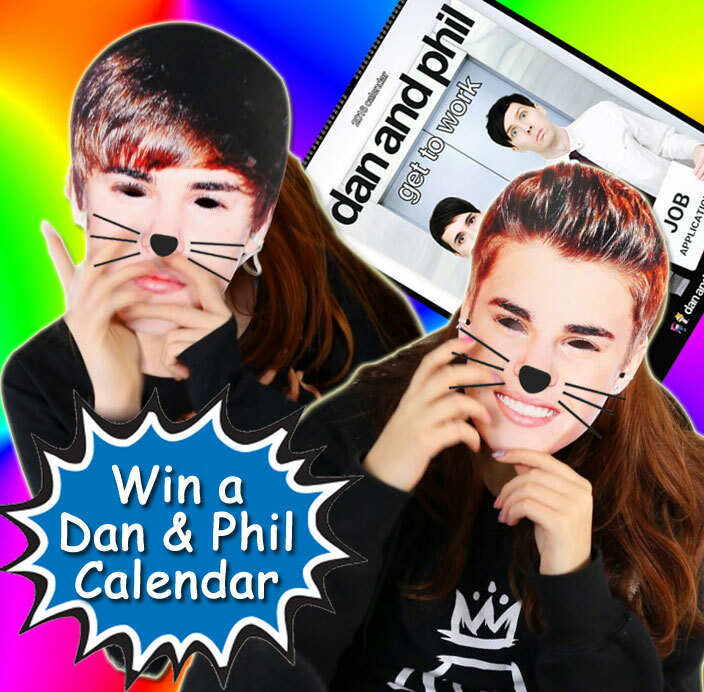 What an exciting time to be alive, because we're giving away a free Dan and Phil calendar, and all you have to do is listen to the podcast for details of how to enter! 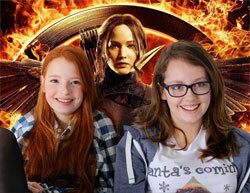 And there's lots to listen to this week, because we have our very own Fantasy Celebrity Big Brother House, where we get to Interview Adele, Simon Cowell, Ed Sheeran and even Justin Bieber, while in Girls on Film, the top up-coming movies of 2016 are discussed. Nia vs Liv is another fun challenge that you can play along with, and finally, there's Good News galore with stories about One Direction, the Spice Girls, Davina McCall, spaceman Major Tim Peake and the possible future of the X Factor. And there's some shout outs, Blue Monday drama and the story of our Lyme Regis beach bonfire that went horribly wrong. 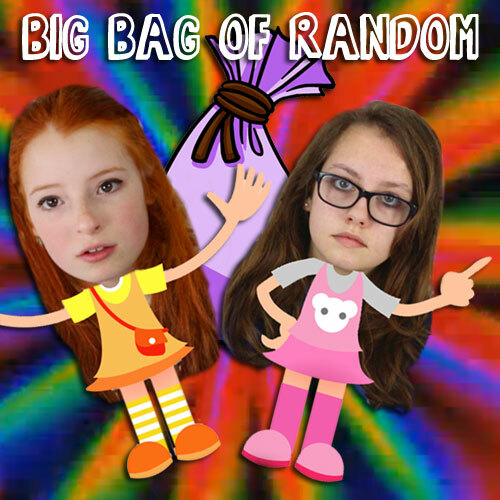 - Episode 13: The Big Bag of Random - Jokes, Pokes and Pranks! Is the number 13 unlucky for some?! 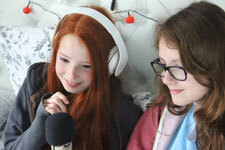 Well, this is our 13th podcast and things don't quite go to plan in the bedroom studio. First Liv manages to poke Nia right in the eye, when she was messing around and trying to stroke her face. Next Liv starts to choke and then she has bad wind. Basically, just a normal day really, and of course we played the Big Bag of Random, where we take out random topics and questions from a huge sack, and then sit back, discuss them and give our answers. So - you can learn more about us, as we learn more about each other! 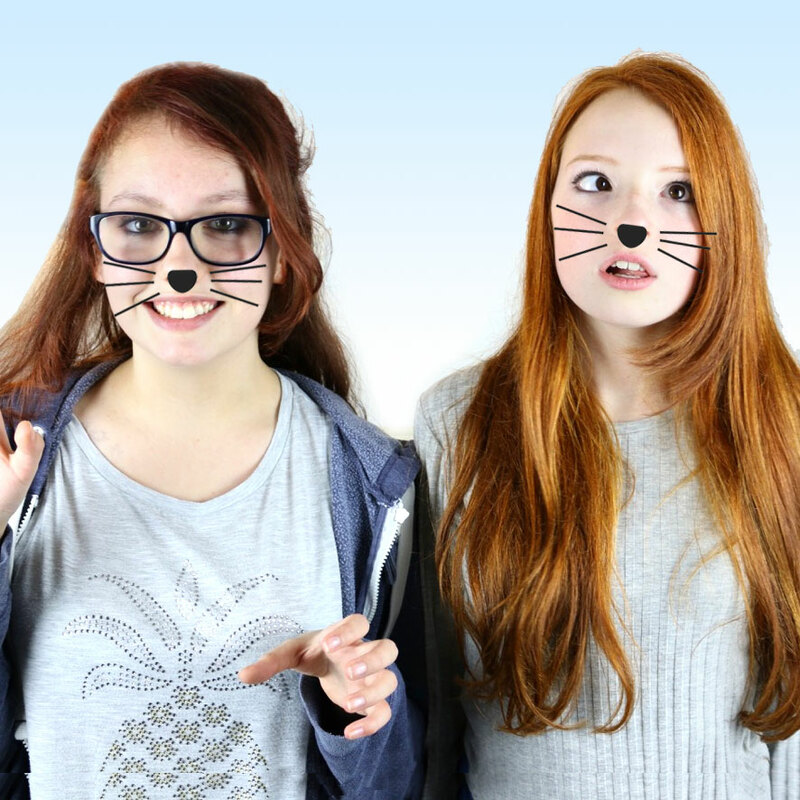 The topics include things to do with Dan and Phil, Zoella and other YouTubers, as well as popular DJs and general toilet humour. That's the plan anyway, and before the podcast is wrapped up, there's talk about a new Joe and Caspar movie project, along with Harry Styles recording his first solo material. And then there's something about chicken bones being used to make lipstick, allegedly. - Episode 12: Celebrity Big Brother - Celebrities or Nobodies?! After our short break during the Christmas holidays, we're back once again in the bedroom studio, putting the world to rights. On this podcast episode, we talk about some grumpy middle-aged men in Australia, how Phil Lester (off of Dan and Phil) makes us think of Leicester Square in Monopoly, and there's some news about Instagram. Then we do a very scientific test to determine whether or not the current series of Celebrity Big Brother is filled with A-listers or Z-listers, and the results are surprising. 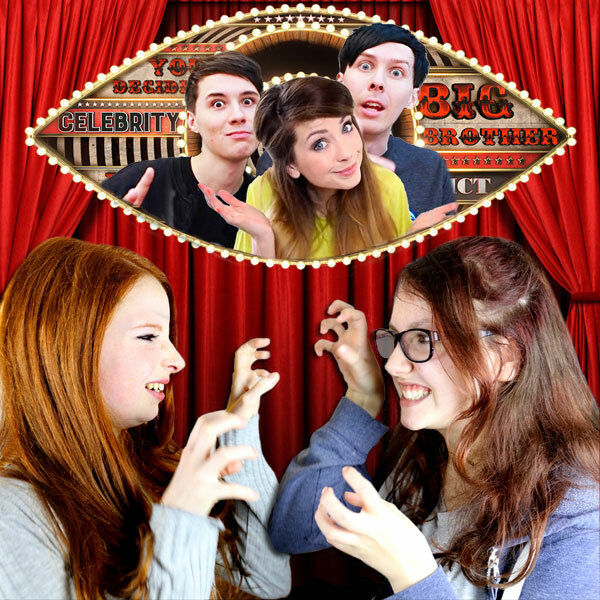 Celebrities also make an appearance in the tricky Nia vs Liv challenge, including the lovely Dan and Phil, and in Good News, Justin Bieber's moony, David Beckham's chocolates, Zoella's privacy and Marcus Butler's broken heart all get discussed. Christmas is nearly here and so there's lots of festive fun in this episode, including a great Christmas Quiz with questions about songs, carols, Coca Cola, food, films and stories, like 'What traps did Kevin leave for the burglars in Home Alone? ', 'How many of Santa's reindeer begin with a D?' and 'Who sang the movie version of Let It Go from Frozen?' But it's not just about the answers, it's the quickest one on the buzzer. And is Silent Night really the same song as Away in a Manger? 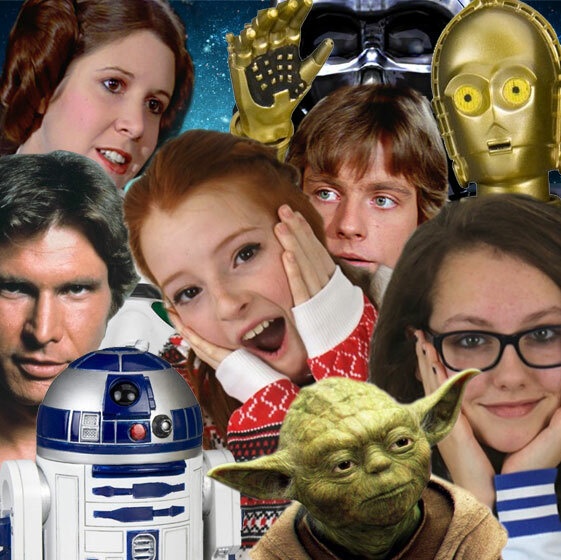 We look into that nonsense, as well as Victoria Beckham's infamous missing right arm and all the latest about that epic new sci-fi movie spectacular - Star Wars VII: The Force Awakens'. With the YouTube Rewind 2015 video just being released to great acclaim, we thought it would be the perfect time to have a YouTuber special. 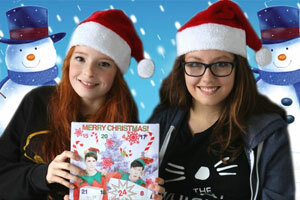 There's a great Dan and Phil comic competition, news about Joe and Casper, and we talk about Zoella's Merry Vlogmas animated opener. And then there's a great YouTube game that everyone can play along with, some news about possible new Hunger Games films, and we find out about Ed Sheeran's two dollar, 30-second 'Peep Show Experiment' on the streets of Australia. We love everything about Star Wars and so for this week's episode, it's a massive Star Wars 'Force Awakens' special, with a touch of Christmas sparkle and magic thrown in for fun. We've been able to interview Han Solo and Yoda, kind of, and then there's a great Star Wars game that you can play along with at home. There's also a top ten countdown of the best-ever Christmas family films and lots of celeb gossip that will make you gasp with delight. May The Force Be With You. There is a noticeable festive theme to this week's podcast ramblings, with some heart-warming Christmas news stories, a review of the cheeky new Aldi advert (a rip-off padody of the John Lewis one), a ridiculous amount of good news, and an extremely tense Nia vs Liv that involves the new Dan and Phil advent calendar. This week it is all to do with the final installment of the epic Hunger Games movies, Mockingjay Part 2. There is a fun versus challenge with lots of questions about the film and its actors, including Jennifer Lawrence (Katniss) - did she really run into a wall and did she actually kick Josh Hutcherson (Peeta) in the head? And don't forget to listen out for the chocolate giveaway competition. Other features include a Celebrity in the Jungle game, One Direction gossip and some incredible news about YouTube sensation, Dr. Jean. A truly spellbinding episode, full of the wonders of wizardry and all things Harry Potter, as we celebrate J. K. Rowling's world-famous boy wizard himself. In the lead up to the new movie Fantastic Beasts and Where to Find Them, we've got news about the stars of these magical movies, Ron Weasley, Hermione and Hagrid all make an appearance in this week's challenge, and we have another bake-off inspired movie chart countdown. Plenty to tickle your ear-buds. And there's even an interview with a surprise special guest. This was a real laugh to record and we really enjoyed it, because we are finding it much easier to talk in front of a microphone now. 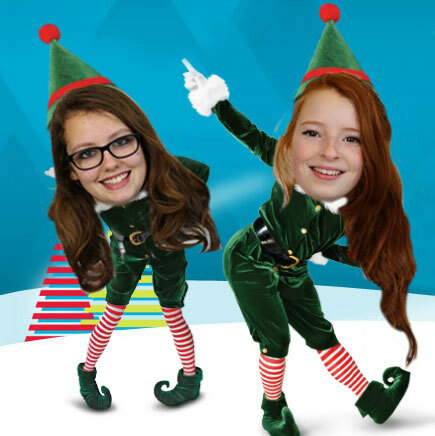 Coming up on this episode is a chat about translating Shakespearean, Zoella's 'Girl Online On Tour' book, Christmas shopping, the new John Lewis advert and our very first 'Big Bag of Random'. We just recorded the jingle for that and it is epic. Then in this week's news we eat banana skins and find out that Daniel Radcliffe is now bald. And the elastic bands on the head challenge is completely ridiculous, not to mention painful. Well, this is our scariest podcast for sure! Everything is Halloween themed and we are even joined in the studio by a very creepy mechanical butler. The NiliPOD FeelyPOD was perhaps one step too far for Liv, who freaked out when she was feeling the grossness waiting inside the hidden compartments. Ghost stories (kind of), entertainment news and a scary movie chart countdown are other features in this podcast, as well as more than a few tongue twisters and Adele's slightly frightening face on her new album cover. Definitely our longest and funniest one yet. This week is a jam-packed James Bond special, with a little bit of Bake Off humour thrown in for good measure, including an interview with Paul Hollywood in Greggs (kind of). Tune in to find out more, including the Graveyard Terror tale. Perhaps our best one yet. We talk about that awful Smeagol cat on YouTube, Simon Cowell and Len Goodman's weekend strops, Brooklyn Beckham's kick-about with Harry Styles, and Funny Things that Children Say - 'Back in a gypsy'. And we try our best to help Warwick Davis track down his stolen caravan. Tune in to find out more, including our Spooky Time stories. Lots to listen to on this podcast. 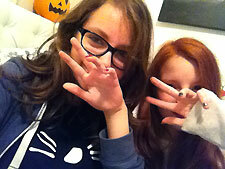 We talk about the latest news and gossip, the X Factor, Dan and Phil's book, Halloween, movies and more. Would you like to win a most delicious Mars Bar, and what do you think will be our 'YouTube Video of the Weeeeeek?!' Tune in to find out more, and let us have your suggestion for future features.